Boot Berryism: How Much Did Beebe Know And When Did he Know It? How Much Did Beebe Know And When Did he Know It? 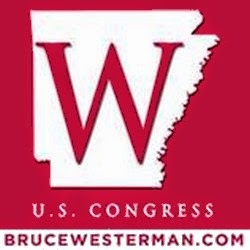 As a Followup on prior post Governor Beebe Puts Arkansas Jobs At Risk For Political Gain more info leaks out. In politics, often it is not the act but the coverup that gets an elected person? Do we have another plantation politics' coverup in the Arkansas Governor's office. Elizabeth Aymond responds on Americans For Prosperity - Arkansas: "My oh my. 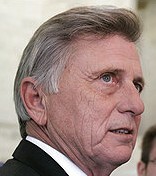 This just keeps getting uglier for Governor Beebe, and the blame game keeps spinning in circles." Gov. Mike Beebe’s office and DF&A Director Richard Weiss have called a press conference today at 1:30 pm to discuss the ongoing financial mess with the Forestry Commission. I am not sure what they will say, but I wonder if they will continue to claim – as they did a couple weeks ago – that they did not know about it until this fall. “If we had known that the Commission was already to the point where they were no longer able to operate within their means, we would have addressed it during budget hearings and this year’s legislative session. When we did learn about it this fall, we took immediate action,” said Governor’s spokesman Matt DeCample after a legislative committee meeting where the Forestry Director admitted the governor’s office had asked then to cancel a meeting to discuss the problem in 2010. However emails obtained by the Tolbert Report show that discussions regarding the Forestry Commission’s financial problems were taking place as far back as June 2010. The internal discussion in the emails, which copies Governor’s liaison Kathy Holt, directly discusses borrowing against federal grants to fund payroll which is being looked into by the U.S. Forest Service. It is my opinion Obeebe....knew and pushed it aside to avoid it coming up during election cycle. He is a mini Obama.